Happy Spring Break! 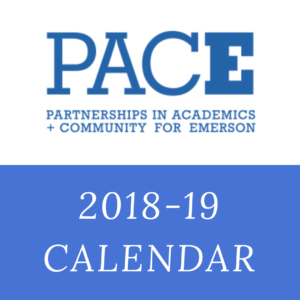 We’re reaching out to the entire Emerson Class of 2020 to follow up on our invitation to participate in next year’s annual class trip to Washington, D.C., organized by PACE. This is an amazing opportunity for our students to visit a number of historic sites and landmarks in our nation’s capital. It’s a hugely popular trip each year and space is limited so be sure to attend and learn how to get locked in for a spot on the trip!! Your student should have received a large envelope to bring home today inviting you to our informational meeting on Thursday, April 25th at 6:00 P.M. in the school library. We will be enrolling students at the meeting on a first-come, first-served basis. We look forward to introducing ourselves as the trip leaders and meeting all of your students as they prepare for this journey.